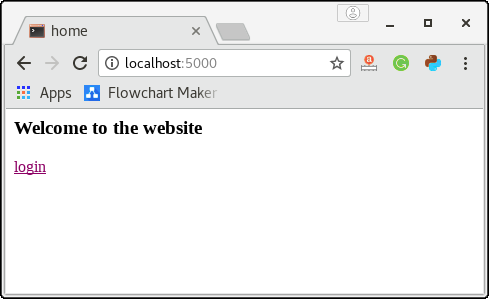 Flask class provides the redirect() function which redirects the user to some specified URL with the specified status code. 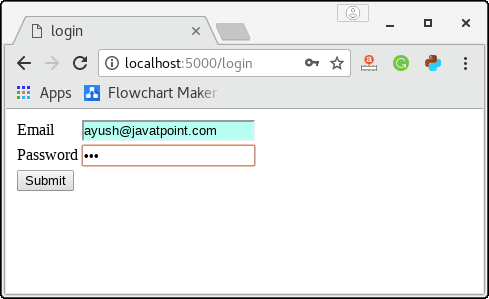 An HTTP status code is a response from the server to the request of the browser. 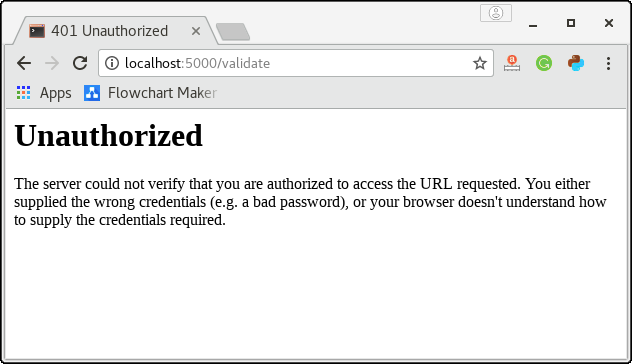 When we visit a website, a request is sent to the server, and the server then responds to the browser's request with a three-digit code: the HTTP status code. This status code also represents the error. The syntax to use the redirect() function is given below. 1 location It is the URL where the response will be redirected. 2 status code It is the status code that is sent to the browser's header along with the response from the server. 3 response It is the instance of the response that is used in the project for future requirements. 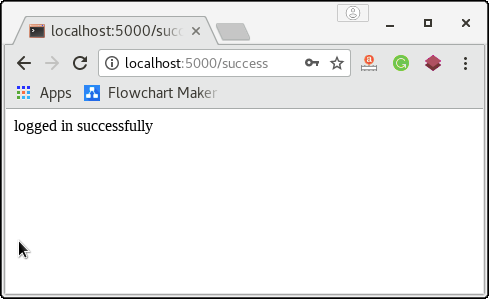 Consider the following example where the user is redirected to the success page with the HTTP status code 302 (found) on the successful login otherwise; the user reverts to this page only. In the above example, the URL '/' contains a link to the login page as shown in the below image. The login page contains shown in the below image prompts the user to enter the email and password, and the submit button redirects the user to URL /validate. In this case, as I have entered a random password not equal to 'jtp' therefore, the user reverts to this page (login page) only. However, the user is redirected to the URL /success only if the password entered by the user to 'jtp'. The URL http://localhost:5000/success (generated on the successful login) is shown in the below image. The following HTTP codes are standardized. The default status code is HTTP_302_FOUND. The abort() function is used to handle the cases where the errors are involved in the requests from the client side, such as bad requests, unauthorized access and many more. However, the error code is to be mentioned due to which the error occurred. The syntax to use the abort() function is given below. We can mention the following error codes depending upon the specified errors. Let's modify the script login.py from the above example and use the abort() function with the error code 401 (for unauthorized access) in the case of any random password entered by the user. It will generate the following result in the case of the wrong password. Here, we have used the error code 401 since the user has requested the unauthorized access to the resource. We can change it to any code depending upon the error case.